We all have memories of sitting around a campfire, with the darkness outside the ring and the glow of the fire lighting our faces. Someone volunteered to tell the first story. We waited with anticipation. And then the magic started. We were pinned to our seats. Our attention was fully focused on the storyteller, just waiting to hear what would happen next! Often the stories were amazing; other times they were tales we’d heard many times before. Sometimes they were delivered with great drama and enthusiasm; other times with a hushed breath barely louder than a whisper. Why did we listen? Do we remember the actual stories? Or are the experiences and the campfire companions front and center in our memories? 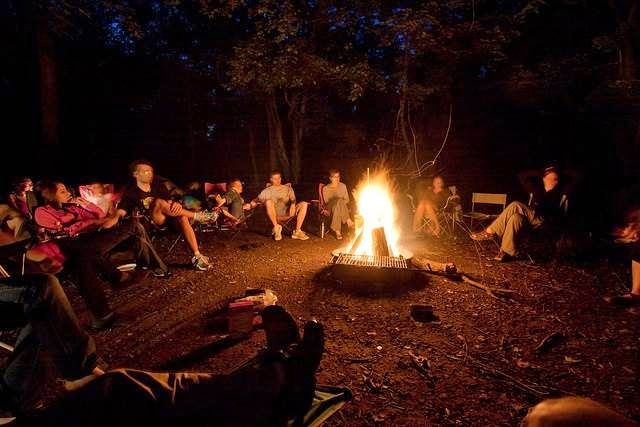 The effectiveness of campfire stories clearly illustrates the importance of mood and atmosphere when conveying a message. Whether we’re describing a product, a service, an experience, or an event, mood and atmosphere are critical to fully communicating the story. Setting the mood for a live audience can be a little easier than doing so on a paper brochure or an email message, but it’s still important in any format. Whether it’s through a stunning image, an effective graphic design, or a humorous greeting, setting the mood opens the way for your story to be told to a receptive audience. It’s a critical factor to keep in mind when communicating any message. Enjoy those campfires (and tailgate parties and marketing planning meetings)!